Rhonda Stoertebecker is a psychologist who has been working with clients for over 7 years after studying as a mature-age student. 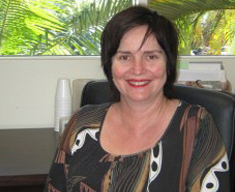 She has worked in a variety of settings including private practice; psychology, medical and nursing university settings, prisons, the Older Person’s Unit and Burns ward at the Royal Brisbane Hospital, and the Diabetes Ward at the Princess Alexandra Hospital. She is a member of the Australian Psychological Society and the Australian Association for Cognitive and Behaviour Therapy. Rhonda Stoertebecker has experience with a variety of conditions including anxiety, depression, grief and loss, diabetes management, sexuality, Bipolar Disorder, Borderline Personality Disorder, obesity and bulimia. She has worked extensively with older persons struggling with a number of psychological concerns and carers of people suffering from dementia. Rhonda has a specific interest in difficulties associated with anger and resentment and is in the final stages of completing a PhD investigating these two emotions. She also teaches communication skills to current and prospective health professionals at both an undergraduate and postgraduate level. Rhonda has a keen interest in promoting improved communication with others, emotion regulation and quality of life. Although her predominant framework is CBT, she is also trained in Emotion Focused therapy for couples, and draws on a number of approaches including mindfulness and solution focused approaches.